North Raleigh Headshot Studio Photography by David Williams. Images for Publication Use. This post was sparked by a phone conversation that I had with a businessman looking for a headshot photographer. 1) He'd been in his field for 10 years and had gotten by without a professional headshot. 2) He was price conscience and price shopping. A lot of things didn't matter to him. It was very much a price decision. Don't lose respect for me in what I am about to say and by no means am I trying to sell YOU the reader on my headshot services. This post is not a sales pitch. 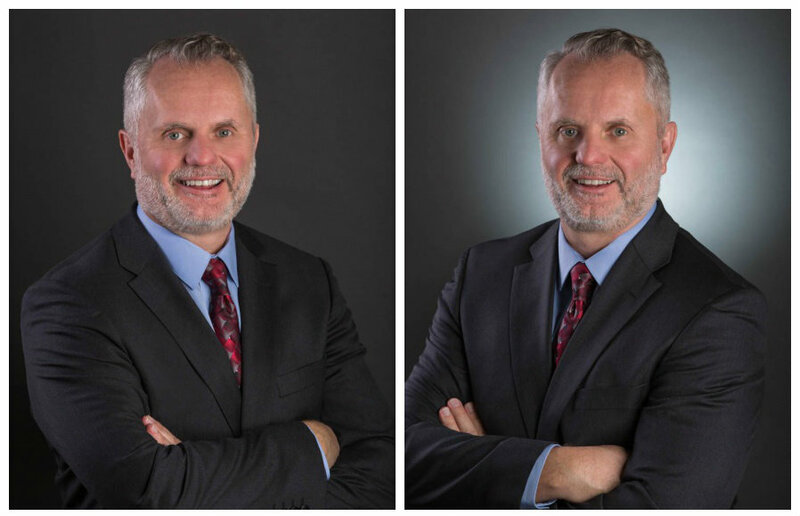 This post is about the value of a professional headshot no matter who you hire. 1) 10 years without a pro headshot in an industry that most are using professional headshots. Not a good business move. 2) Shopping for a professional headshot based solely on price. Another bad business decision. Let me put the price point in perspective here before I move on. 1) I work out of a studio in a business district. 3) The client gets to choose his or her favorite image from the photoshoot which includes basic post production editing and lifetime unrestricted usage rights. The image is delivered as a print file, web file and Linkedin crop file. In the Raleigh market, most professional headshots range from $100 to $200. I'm in that range. So I know for a fact that I am competitive in the market place plus I do nothing but headshots and commercial photography. The reaction that I got from my quote was a little shocking but not surprising considering the industry the caller worked in. Although I know other photographers that would shoot for less, he didn't seem to want to know who they were. All I can guess is that he was looking for a beginner photographer or JcPenney photography pricing model. Because true professionals don't give away headshots for $49.95. The reality is that most calls I get end up scheduling while they are on the phone. I give them the overview and the price and we schedule. It's really a simple process. Although my headshot pricing is about the mid-range for the Raleigh market and actually extremely reasonable for someone with a studio outside of their home, my experience when someone is price shopping is that they rarely call me back. There will likely always be a better price and sometimes those prices come with a catch. How does $55 for a headshot sound? That's what a recent client of mine told me he was quoted for the headshot photoshoot, but the catch was that each image was $125. So in reality the photoshoot with one image is $180 which falls in the $100 to $200 range of Raleigh. However, someone may feel suckered getting int he door for $55. Also, the photographer worked from home which is fine with the exception of asking the potential client to help set up her backgrounds. Needless to say, the $55 plus the add on and asking to help set up backgrounds were two core reasons the man came to me instead. I recently scheduled a headshot appointment with someone who had previously decided to get a headshot at a department store for convenience because she was taking advantage of a special offer to be photographed with her husband. She told me that by the time it was over, the special offer (something like $29.95) and the headshot cost her over $100 and she cannot use the headshot. That's what I mean by saying: "Professionals Get It Right The First Time." True professionals provide professional quality and excellent service or they will not be in business for very long. It is still true that "you get what you pay for" and paying a little extra to hire a true professional that will get it right the first time makes a difference. When I told a fellow photographer about the story of the man shopping price and the industry that he worked in, my friend who worked in the same industry as the man for 10+ years prior to becoming a photographer texted me the following: "So many of them have a scarcity mentality. They will spend more money trying to figure out how to get by without something or how to get it on the cheap than if they would have just paid for quality."